KCL policy dictates that Project Managers review, highlight and analyze important information provided by the Client for preparation of a competitive proposal. KCL recognizes the unique nature of each project. There are project conditions and characteristics typical to each project which has to be identified acknowledged and dealt with in order to meet the goals and targets as set out by the Client. Once identified our Project managers will create and build an effective and practicable schedule to meet the deadlines as set out by the Client and to successfully complete and deliver the project ensuring that a) project milestones and deadlines are met and (b) that the work was in conformity with all industry standards and specifications with regards to Health & Safety and in compliance with building code and regulation requirements. ORCC – Organization, Review, Coordination and Completion are the key to the success of any project. Organization: KCL believes and practices the principles of collecting and organizing date & information in a manner enabling smooth access to information based on divisions of work. Review: To review and reference all data meticulously gathered and keep proper records and documentation and utilize the same for good governance of the project. Coordination: KCL will use the data to coordinate and share information with the Client and with the specialized sub-trades that we will be working with. Completion: KCL realizes that time is of the essence on all the projects and will strive to ensure timely completion of all projects, delivered to the satisfaction of the client. Upon notification of award, the KCL administrative team will provide the Client and others affected by the project with pre-start up submissions like, insurance and bond documentation with a copy of our Health & Safety Policy, contact names and numbers of all trades. We would then immediately begin the pre-construction process Our assigned Project Manager will attend and minute the pre-construction meeting with regards to approach, scheduling and any other client concerns that will need to be addressed The roles and responsibilities of each member of the client, consultants and client representative teams will then be established. Project and material selections will be addressed according to feasibility with respect to lead times and costing objectives in order to provide alternative/substitutes specifications if necessary. Approval for the accepted Construction Safety and Fire Plan would then be employed. KCL will assume any contracts for any pre-ordered materials and equipment and verify delivery dates. The next step will involve mobilization by setting up a format site presence. All required notices of project (NOP) will be posted and construction areas will be segregated safely from public access with use of proper construction warning signage. 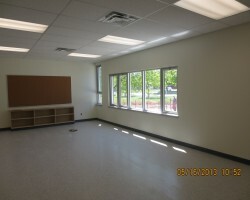 A construction office will be established complete with phone, fax, computer, printer, and filing drawing review and meeting areas (if required). Continual communication with the entire team is the key to success. Daily work reports will be produced from this office. When the scope is finalized, shop drawings will be submitted for approval and long lead items will be ordered. Once the on site work begins, weekly progress meetings will be conducted by our Project Manager and minutes taken. KCL will conduct a sub contractors meeting (weekly) 24 hours prior to the Client and Consultants’ weekly meeting in order to discuss and resolve any issues which may arise. KCL will conducts daily discussions concerning scope, scheduling and construction progress. Client liaison will be administered by KCL site team. Project scheduling will be maintained and, if required, updated and submitted to the client. KCL will monitor sub trade work and schedules in order to ensure that quality workmanship is maintained. It is the responsibility of KCL’s Project manager and Site coordinator to advise the Client representative immediately upon the discovery of any unfamiliar site conditions that may affect the scope of work. If awarded, KCL has the potential to mobilize on site immediately as we understand the completion of each assignment and its criticality to the Client. KCL will ensure that work schedules are maintained within the designated times and that all workspaces are cleaned on a daily basis with minimum to negligible disruption to day to day operations in the building. KCL acknowledges responsibility to implement and supervise compliance to our Health & Safety policy. On completion of the project, KCL will organize inspection of work for substantial performance and total completion On receipt of the Certificate of Substantial Completion from the client, KCL will publish the Certificate in the Daily Commercial News for substantial completion as per required. We will receive and present all applicable written notices and certificates to the client. We will assist in the review and preparation of deficiency reports and then supervise the correction of said deficiencies in a timely manner to the client’s satisfaction. We will collect and administer receipt of all as-built drawings, shop drawings, manuals, warranties and reports for submission to the client and consultant. 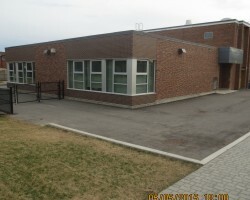 We will undertake schedules for inspections and gain regulatory approval for occupancy. The KCL Administrative team will support the Project management Team with the review, certification, processing and payment to contractors and suppliers. KCL has earned a reputation for providing superior quality construction management services through our commitment to completing project on time and on budget. Our aim is to maintain the hard earned reputation and take the company to newer heights through commitment and excellence in the work we undertake.